If you want to refund an athlete their fee we have support for this from within Smoothcomp. 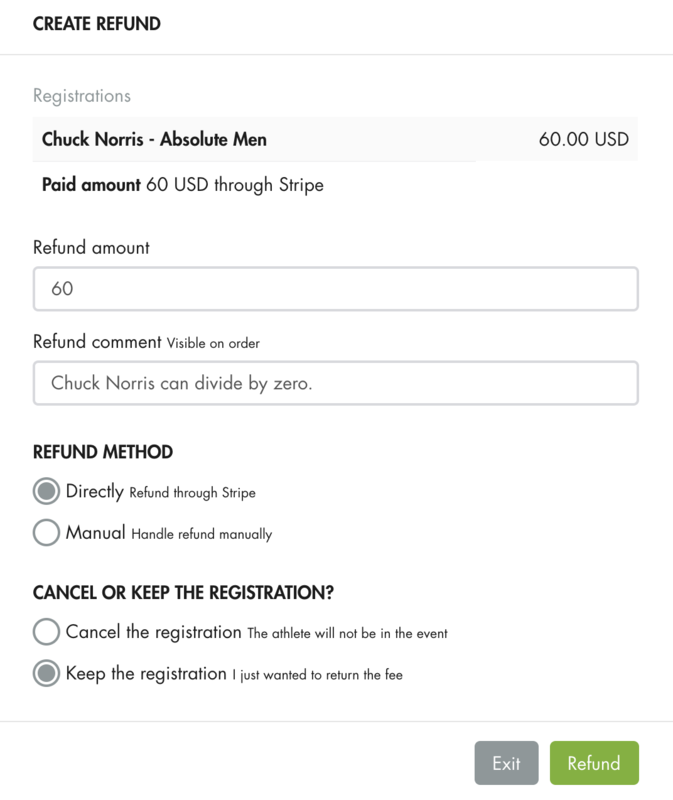 You can pay back from PayPal and Stripe or solve it manually at the event. 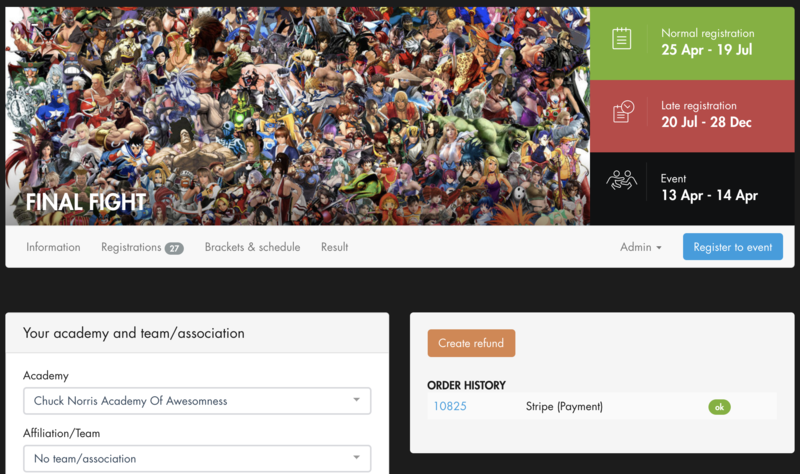 Start by click on the athletes name from the registration view. You will now see the details of the registration and at the top there is an orange "create refund" button. Hit IT. Once the refund is completed it will show at the top saying "refund completed". It will then take some processing days before the money has been refunded to the credit card and this is done by the payment provider you use, Smoothcomp has no part in this. Under the athletes name there will be a status message that provides information about the refund. This feature is only available for someone with Manager access.